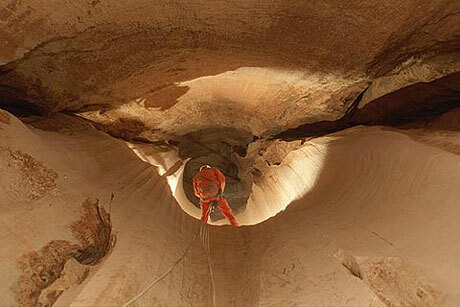 See pictures of abseiling into impressive cave shafts of different sizes. These are vertical passages within a cave system, formed along joints by which underground watercourses have created a rounded vertical passage or just a vertical cave passage along a fissure. See pictures of big chambers. These enlargements in a cave passage are formed commonly at a junction of passages. In very large chambers, the whole scale can often only be revealed afterwards on the pictures, thus because the small headlight isn't strong enough to lighten the whole room. See pictures of wet caves. These are caves conveying water, either by streams where their depths are resulting from melting of snow or rainfall or just it is accumulated water logging in basins. Caving in a highly wet environment needs special equipment like neopren to protect from chilling out. Water can be a real torture but a lot of fun as well. See limestone decorations of different sizes. These cave deposits were formed by chemical deposition and are resulting in spectacular decoration types. Examples are stalactites, hanging or growing downwards with usually a cylindrical or conical form and formed by dripping water. 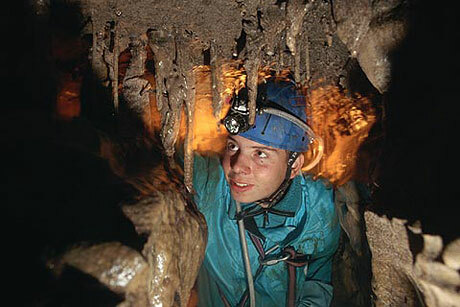 The counter parts, often found directly under the stalactites are the stalagmites. 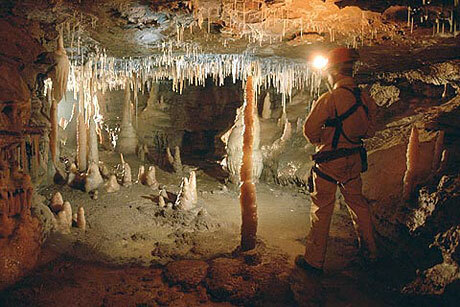 They project vertically upwards from a cave floor and were formed by precipitation from the drips. 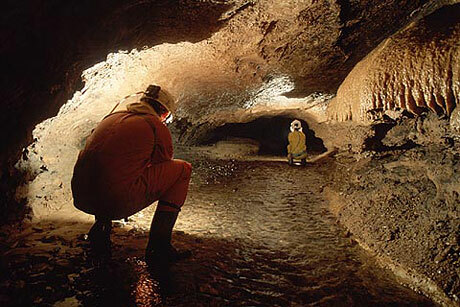 See cavers in action in different situations like narrow passages, cave shafts and meanders. 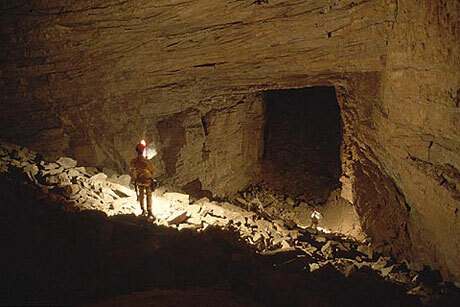 Caving is a challenging experience both unique and rewarding, maybe it has to be considered as the ultimate adventure.